Earbuds are very popular – joggers use them, hikers, audiophiles, athletes, music lovers. One of the best things about them is that they’re scattered across different price point categories, which means that there’s everything for everyone. This review should help you pick the perfect set for the buck – without further ado, let’s see which models are the best wireless earbuds. I've broken down the guide into different sections depending on how much you want to spend. Jump to the right section from the menu below. If you value simplicity, and your wallet, the straight-forward earbuds from Cornmi are a great choice. ​Our first budget pick is Cornmi’s Bluetooth headset. This is one of the most basic cheap wireless earbud models on the market, which is what makes it so good for people who value simplicity. It comes outfitted with bare essentials, such as Bluetooth version 4,1, magnetic design, and a decently balanced soundstage. First of all, Cornmi boasts about these headphones delivering high-fidelity sound – that’s true if we don’t forget that these are budget earbuds, so it’s safe to say that the sound is good for the buck. What came as a surprise is that these earphones feature the 4,1 version of Bluetooth – it’s pretty advanced and uncommon in this price range. On top of that, the magnetic design is a convenience often thought of as a feature exclusive for mid-priced and high-end models. The battery lifespan, though, is pretty low, as you can only enjoy your music for up to three hours – the standby time is 75 hours though. 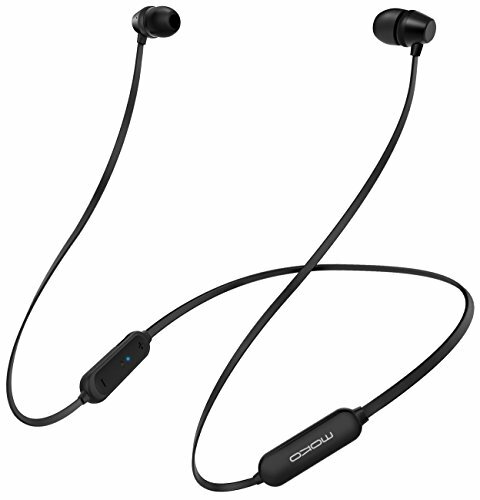 Overall, Cornmi’s Bluetooth earphones have definitely earned the title of “the best cheap wireless earbuds”, as they come outfitted with a set of powerful, reliable features, even though there are some flaws along the way which shouldn’t be treated as deal breakers. One of the most stylish picks in the cheap/budget bracket, the Picun has many different color combinations to choose from that will fit any style. Let’s proceed with our reviews of the best cheap Bluetooth earbuds – next on the list is Picun’s H6 headphone set. One of the most amazing things about H6 is that it looks rather breathtaking – you’ll be able to choose between black, rose gold, and white gold color options if you don’t like the factory style. These earbuds are packed with 10mm speakers which deliver a high-quality sound emission –the bass is powerful, mids are quite alright, and the highs aren’t lacking. On top of that, the Bluetooth 4.1 is onboard as well, which is pretty convenient. What’s more, Picun’s H6 features the IPX4 splash-proof rating – water puddles might be a problem, not to mention drenching and submersion, but splashes and sweat shouldn’t make a big fuss. Lastly, there are onboard volume controls and an inline microphone which allows you to take and make hands-free calls. There are people who tend to complain about the quality of sound, though. This isn’t really that much of a subjective matter – you should be aware that cheap headphones always sound cheap, no matter how you look at it. If we compare the sound quality of an average cheap earbud set, Picun’s H6 is superior without any question, but compared to mid-priced models, its soundstage appears thumpy and bland. 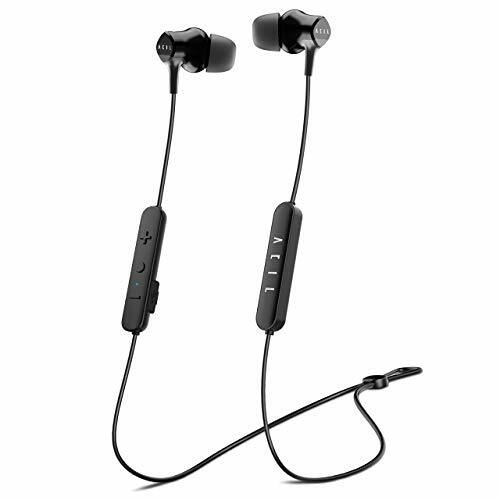 Overall, this is a cheap earbud set, but it’s certainly worth the buck – you’ll have a tough time finding an inexpensive earbud set with the Bluetooth 4.1, the magnetic design is but a bonus, and they feel rather comfortable to top it all. Simple design and a convenient magnets for easy storage, the MoKo is a good choice if you are on a tight budget, but need something usable and stylish. Next up is MoKo’s Bluetooth headphone set. In a nutshell, these earbuds are as plain as they make them – the cord is rather thin and simple, the earbuds are maybe just a bit oversized, but everything else seems to be in order. First of all, you can choose between black and red color options, and that goes for the tips and the cord as well. The sound quality of Moko’s Bluetooth earbuds is pretty neat, although other features seem to fare better. Even though this is a cheap earbud set, the battery lifetime it boasts is absolutely phenomenal. Namely, you can listen to your music up to nine full hours (which is an hour above the standard for mid-priced earbuds), and the standby time stretches on to full 2 weeks. Another great thing about these earbuds is their IPX5 waterproof rating – they’re almost fully impervious to sweat and could survive a jogging trip during a rain, but submersion and drenching should be avoided still. The ergonomic design of MoKo’s Bluetooth earbuds makes them very easy and comfortable to use, and there’s a pair of built-in magnets which you can use to connect the ends whenever you’re not using these earphones. Lastly, you’ll get a set of complementary features as a bonus, including a user’s guide, a micro USB cable, a cable clip, and three earhooks (small, medium, and large, the same goes for eartips). The last cheap earbud set in our review is YYQ’s Bluetooth headphone. These earphones boast a magnetic design, allowing you to fix the plugs together whenever you’re not suing them. What’s more, Bluetooth 4.1 is onboard as well – one of the latest versions, if we exclude the 4.2 and 5.0. Furthermore, there’s a convenient built-in microphone onboard as well, although you shouldn’t expect too much from it – you’ll be able to manage your calls hands-free, but the clarity and quality of sound you’ll get won’t be perfect per se. While high-end earbuds boast active noise cancellation technologies, YYQ’s earbuds feature echo cancellation – an inferior technology which keeps some ambient noise out. All things considered, they’re worth taking into consideration if you don’t want to spend too much money on earbuds but still want quality for the buck. Essentially, the rule “what you pay is what you get” works like a charm here. Cheap earbuds usually don’t excel in any field of performance, but hidden gems just wait to be uncovered. We’re here to do just that and teach you how to pick the best cheap wireless earbuds along the way. Every cheap earbud set has its flaws – some are flimsy, some feature outdated versions of Bluetooth while others just don’t sound just right. If you’re intent on finding the best cheap wireless earbuds, you should be able to look past the minor imperfections and see what they can offer you in general. While most cheap earbud models don’t have anything “outstanding” about them, certain models actually do – these features can be an upgraded version of Bluetooth, long battery lifespan, great drivers and hardware. Usually, a model in question will grant you a single benefit at the expense of others. 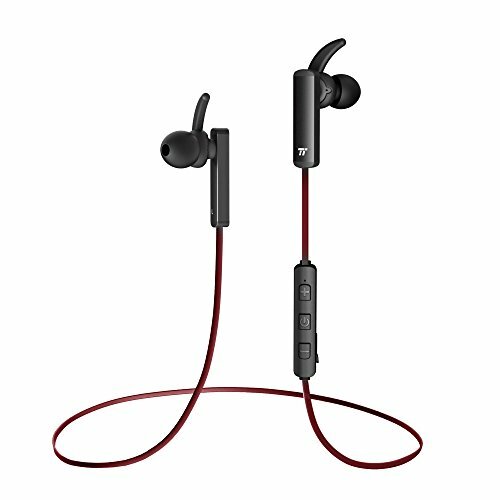 Since you won’t be able to get every possible benefit an earbud set can offer you, you should at least be able to pick those earbuds which don’t cut back on what you really need. Most brands, however, focus on either sound quality or comfortability. Finding a balance between the two will often result in a flimsy set, so take your and go for it. Our top rated earbuds under $100 comes from Linner. They offer exceptional sound and a noice-cancelling feature that you usually only get from more expensive models. The first set of wireless earbuds under 100 bucks in our review comes from Linner. These earphones are supplied with some major features. The settings and functions they offer are exquisite, to say the very least, and if you’re looking for high-performance Bluetooth headphones, you’ve found one. First of all, Linner’s earbuds feature active noise cancelling technology – this feature reduces the ambient noise by a staggering amount of approximately 97% (or up to 28 decibels). This is the bleeding-edge tech high-end earbuds are only capable of, and you can rest assured that there will be nothing between you and your music. Furthermore, there’s a neat monitor function features that lowers the overall volume of your music when needed, allowing you to hear what’s going on around you, even if the headphones remain in your ears. On top of that, the battery lifespan of these extraordinary earbuds is exceptional – you’ll be able to enjoy in your music for up to 13 full hours (if the ANC feature is off, else you can use it for 9 hours). The recharge time is cool as well – they only need approximately two hours to zap back to life. Lastly, these earbuds are splash-proof and semi water-resistant – they feature a IPX4 water-proof rating, which isn’t much, but it’s better than nothing. Overall, they’re relatively cheap for a set of high-end earbuds, hence they’re quite valuable and worth the price. Unique design, noice cancelling features, synthetic leather materials, and magnetic charging brought the HE8D into our list. If they fit your style, you won't be disappointed. Next up is Cowin’s HE8D in-ear earbud set. These earbuds look relatively plain, but they feature some of the finest settings and hardware, including the active noise cancelling technology, synthetic leather materials, high-fidelity sound, OTG magnetic charging system, and more. Let’s start from the start – the ANC technology significantly reduces ambient noises, and the attribute “active” is very important, as it insinuates that you can turn it on and off at your leisure. As it’s good for long trips and dull (yet noisy) situations, ANC could present a hazard for a driver, or even a pedestrian who doesn’t pay enough attention to the traffic. The buds of Cowin’s HE8D in-ear earbuds feature a tailored fit – they feel incredibly gentle and comfortable, so you can rest assured that you won’t even be able to feel them after several days of using them. The housing features synthetic leather materials, but that’s purely a cosmetic feature. One of the most important features of Cowin’s HE8D in-ear earbud set is the powerhouse soundstage – the sound is incredibly great at all volumes, the lows and mids are resonant and deep while the highs are as bright and crispy as needed. All that was made possible by an exquisite 1.6” LCP-diaphragm driver that can handle the heaviest beats and the mellowest of tunes alike. What’s more, Cowin’s HE8D in-ear earbud set is protected by the Liquipel Nano coat that forms a water shield around it, making it resistant to water and sweat. Even though Cowin’s HE8D in-ear earbud set isn’t the most expensive high-end earbud set, it doesn’t come cheap. It belongs to the medium bracket of this price range, but it’s more than valuable for the money. Jaybird makes our top list with a ton of colors, great sport design, and sound quality that lives up to the price tag. Here we have Jaybird’s X3 in-ear earphones – a beautiful earbud set from a classy brand. Jaybird is pretty famous for making sport-style earphones and similar accessories, and you might’ve already heard about their Freedom 2 model. The X3 is one of their newest additions to their ever-expanding catalogue of quality earbuds, so let’s see what it can offer you. These earphones are among the best-looking high-end models we’ve come across so far, and that’s even without the fact that you’ll be able to choose the color you like the best from the “blackout”, “alpha green”, “RoadRash Red”, and “Sparta White”. 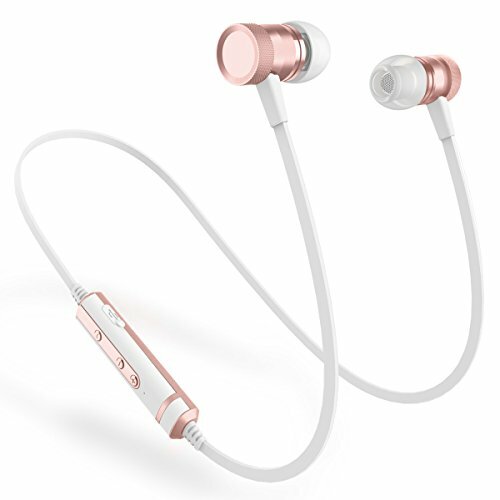 Their compact design is complemented with a secure fit, which makes them extremely comfortable and lightweight – as Jaybird makes earbuds and earphones for sportsmen and sportswomen, it goes without saying that all of their products are absolutely ideal for runners, joggers, and athletes in general. Jaybird’s X3 earbuds also boast a sweat-proof design, suitable to withstand all sorts of weather conditions due to the hydrophobic nano coating which wicks moisture away. Lastly, you’ll be able to utilize the MySound application to customize your experience further on, benefiting from the ultimate sound quality. If you need a built-in microphone, quality driver, and sleek design, the Acil earbuds should be the next on your shopping list. The last high-end wireless earbud set we’re reviewing is Acil’s earbud set. There’s a lot you could like about them, and but a handful of small, nearly meaningless flaws which should be pointed out and highlighted. These Bluetooth headphones are outfitted with a high-quality Knowles armature driver which delivers HD high-fidelity sound. With a decently setup soundstage, you can rest assured that these earbuds will grant you a one-of-a-kind experience. They’re extremely lightweight and compact, featuring a “magnetic clasp” which allows you to tie the buds together via built-in magnets when you’re not using them. The materials used in the construction process include liquid silicone and soft-touch plastic which are both durable and flexible. On top of that, you’ll be able to use these earbuds for up to eleven full hours – the recharge process takes approximately 2 hours to fully charge the earbuds back. What’s more, the active noise cancellation technology negates up to 98% of ambient noise, which is even better than ANC techs implemented by some of the brands we’ve had the pleasure of reviewing so far. There are a couple of problems, though. Namely, these earbuds cut in and out in certain situations, and the microphone isn’t exactly the best. Anyhow, they’re good for the money, if not even the best wireless earbuds under 100 bucks. High-end earbuds are not only some of the most expensive models in this department, but also some of the most valuable ones. Namely, the brands making these earbuds have invested extra effort into adding innovative features and implementing (and improving) the latest technologies which all resulted in some of the finest earpieces ever made. We’re here to see what makes the best bluetooth earbuds under 100 bucks so good, so stick around and you’ll be able to find out for yourself. The first thing you’ll notice about high-end earbuds is that they usually have a huge battery lifespan. The standard lifespan of a budget model is approximately 6 hours, moderately affordable buds last for about eight hours while high-end models can run up to 10 or more. The cheap plastic is a sort of a trademark of budget earbud, but the story of high-end earbuds goes in the opposite direction. Thin metal, aluminium, molded silicone – these materials are commonly used in the manufacturing process of a high-end earbud set, so don’t settle for less. Whenever you see a plain earbud set, you might get the notion that all models in that category look alike. That’s, however, not the case with high-end earbuds – virtually every model has at least one (usually more) feature that makes it stand out from the rest. If you value aesthetics and want to get a set of beautiful earbuds, there’s no better way of getting it than by searching throughout the high-end price point category. The manufacturers of high-end earbuds are aware of the fact that the batteries are rechargeable, that the durability doesn’t mean much if the user isn’t at least averagely careful, so most brands focus on making the most comfortable earbuds with the best-sounding rig possible. Power-heavy drivers are pretty common, but you’d be surprised at how comfortable these earbuds are and should be. In fact, the reason why we used the word “unparalleled” is because they can’t even begin to compare with the models from other price point categories. In the uber-budget category, the Senso earbuds are about as good as you can get. They are stylish, adjustable, and fit every budget. Senso’s Bluetooth headphones are the first in our “under 30 bucks” list, and we’re here to show you that they’re good even though they’re quite cheap. First of all, these headphones feature a robust construction (by decently cheap headphone standards, of course), and they will be able to withstand quite a pounding. The ear hooks are fully adjustable and customizable, packed with memory metal materials which fit perfectly with the ergonomic design. The ActivBuds are outfitted with gel-flex silicone buds which not only feel comfortable as a piece of heaven, but remain firm at all times. Apart from that, the battery life of these earphones is quite amazing, given that they belong to the moderately cheap price point category – you’ll be able to enjoy in your calls and music up to eight full hours, or 240 hours while they’re on standby. The recharge time of the battery, however, promises even more. Namely, you’ll need just 1.5 hours to get the juices back and running again. Lastly, this headphone set features the 4.1 Bluetooth technology. Though it’s not the latest version, it’s very fast, reliable, and stable. You’ll be able to seamlessly connect to your smartphone if it’s in the vicinity of 30 feet, though most physical obstacles would narrow the initial range down a bit. The only thing you might not like as much is the leash-like cord – the headphones themselves are very comfortable to wear, but the cord might feel a bit annoying at times, especially if you’re doing anything that will result in sweat. Apart from that, these are very valuable, if not the best Bluetooth headphones under 30 bucks – they hold a huge value for the cash, and we warmly recommend them to all people looking to score a nice earphone set without paying a fortune. The most popular brand in budget earbuds, TaoTronics has a battle-tested design, interchangeable eartips, and great sound for the money. 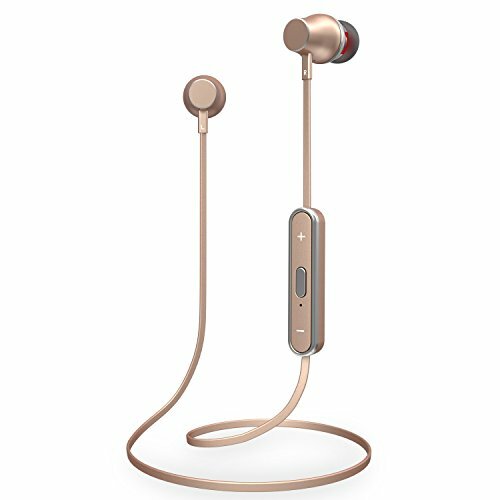 TaoTronics is very famous brand, and it’s quite awesome that they’ve branched out from medium and high-end earphones to entry level ones as well. This specific model looks very plain, perhaps even a bit too similar to your average in-ear headphone set, but there’s a plethora of differences that might make your worthwhile considering. For instance, TaoTronics headphones feature the Bluetooth 4.2 technology – a version further improved from the point of 4.1. That means that the already-great and stable connection is even more reliable and fast now. What’s more, several connection bugs and glitches have been cleared out, allowing you to seamlessly connect with almost any smart device. 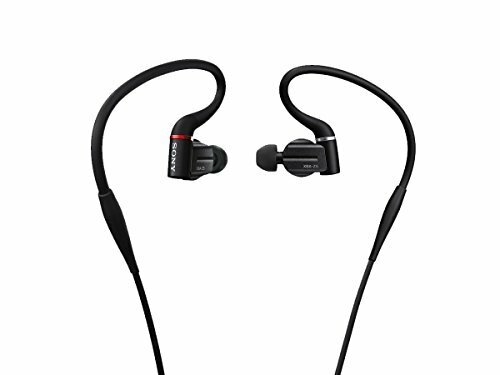 Furthermore, TaoTronics Bluetooth headphones boast a tailored fit. They come with a set of 3 interchangeable eartips and hooks so that you can choose the one that fits you specifically. While one pair might be good for your casual day-to-day routine, another one would be ideal for exercise or such. Additionally, you’ll certainly like the MEMS microphone which comes built-into these earphones. This microphone negates and lowers the ambient noise and interference, allowing you to receive and make hands-free calls. The antenna is made of ceramic materials which improve the audio quality, as well as the transmission, but it’s a bit flimsy so you should take extra care when handling these earphones. The “magnetic wear” implies that these headphones can be put together and wore around a neck, allowing for a sporty way for you to carry them while not using them. What’s more, the price of TaoTronics Bluetooth headphones is more than right – we’re still wondering how such a magnificent piece of technology ended up in such a low cost bracket, as they’re surely worth more than they actually cost. There seems to be an issue with the battery though. Even though the recharge time is quite low, the headphones won’t go beyond 80% power at times. In order to bypass this inconvenience, you should simply plug out and re-plug the charger back in once or twice (until the matter is resolved, that is). With a nine-hour lifetime and ergonomic design that fits most ears, the magicbuds from Hussar are a good choice if you need something cheap. Hussar earned numerous “best of” awards for their headphones and tech gadgets, so we’ve decided to give them a try and picked out their MagicBuds from the catalogue. Initially, these earphones seemed a bit too ordinary, but much to our surprise, they perform on a level you’d otherwise expect of a mid-priced, if not high-end headphone set. The first thing we liked about Hussar’s MagicBuds is the secure, yet comfortable fit. They boast about the “ergonomic design” being the Alpha and Omega of headphone construction, which we agree with in entirety. The ear hooks are made of quality silicone and they feel very natural and comfy once inside. Combined with a bit of silicone gel on the surface, these earphones are virtually sweatproof, making them ideal for exercise, gym, jogging, and similar activities. Once we’ve declared them “comfortable”, we went out to test how they sound. Since we were looking for the best wireless headphones under 30 bucks, our hopes never went too high up, so maybe our amazement was due to that – Hussar’s MagicBuds feature a balanced soundstage with pronounced bass response, adequate mids, and clear, crisp highs. The noise reduction always comes in handy, and the technology Hussar staff used to ensure it was on point. Nearly 100% of noise remained outside, and the calls we made (between ourselves, but nevertheless) were clear and uninterrupted by ambient sounds. We’ve spoken a bit about Bluetooth and the versions it’s available in, so by saying that Hussar’s MagicBuds feature version four-oh-one should tell you this – the signal’s getting in pretty fast, and it’s as secure and reliable as can be. Further on that note, these earphones boast universal connectivity – you can sync up your wireless devices like iPhones, iPads, cells, Windows Phones, or Androids with ease. Lastly, the battery lifetime is beyond average – you can use the MagicBuds for up to nine straight hours, which is an hour above what you’d call a “high lifetime”. Anker’s SoundBuds are next on the line, and even though they appear as nothing special, they’re pretty exquisite in their own right. In fact, we might be looking at some of the best wireless headphones under 30 bucks right here. Their plain designed is compromised for with the fact that they come in three color styles. The buds themselves are colored in black, but you can choose the cord in black, blue, and red colors. These earphones are powered by 6 mm precision drivers which are as accurate and powerful as can be. What’s more, they’re extremely lightweight and were designed with a comfortable fit in mind – you can customize the eartips of these headphones so that they feel good for you specifically. The battery lifespan, sadly, isn’t exemplary, but it’s okay, to say the least. You’ll be able to squeeze out seven hours of juices on one charge (as opposed to eight hours being the top battery lifespan for most headphone models). Now, it’s important to note that these are, in fact budget headphones – the qualities they posses can’t really compare to those of medium and high-end models, so with that taken out of the picture, we think you’d be content with the IPX5 waterproof rating they boast – of course, most models in our “best Bluetooth headphones with mic” section feature IPX7 or higher, but that’s why we pointed out that comparison is uncalled for here. Out of the box, you’ll get a set of three in-ear hooks (small, medium, and large), a fit clip, a shirt clip, a micro USB cable, a travel pouch, and a welcome guide. The complementary features are definitely a great plus, especially if we take into consideration that underdog brands face stiff competition and rarely make such bold moves such as giving out free stuff. Overall, there’s nothing bad about these phones – certain features could’ve been done better, some settings are missing out, but they’re very good for the money. One of the few IPX5 (waterproof) rated earbuds on our list, the Fozento ergonomic earbuds are a great value. The last budget headphone set we’re reviewing comes from Fozento – a brand that boasts a meagre, but formidable catalogue of quality budget headphones and headphone accessories. Initially, we’ve been attracted by the simplistic, cool design of these headphones, but after a thoughtful consideration of the other features, we’ve decided that they’re more than worth the buck. First of all, Fozento’s Bluetooth headphones feature an ergonomic design – there are no hooks, straps, or additional curves that would get stuck in your ear or envelop it, rather they’ll just comfortably sneak inside and remain there without you even noticing. The tips are incredibly soft and come in several sizes so that you can decide which one feels the best. There are also magnets inside the tips which allow you to easily attach the headphones together for as long as you’re not using them – you can wear them around your neck or simply tuck them away inside your pocket until they’re needed again. We’ve really liked the technologies used in the manufacturing process of Fozento’s Bluetooth headphones – the Bluetooth version four-oh-two is faster and superiorly reliable when compared to the earlier (more common) versions, and the APT-X audio decode tech enhances the overall soundstage, providing high-fidelity sound. Additionally, there’s a built-in mic which allows you to make hands-free calls. The things that could’ve been done better include the waterproof shell (with an IPX5 rating) – it’s more splash-proof than actually waterproof, so submersion and drenching should be left out of the question. Furthermore, the battery lifetime is decent, but a bit below the average with six hours of runtime. There are a couple more neat features onboard – you’ll hear voice prompts and notifications of incoming calls, and you’ll benefit from several customizable ear tips, a carry pouch, and a micro USB cable as complementary features. Overall, this is an awesome budget headphone set if we’re to look past the small flaws it features. The price range that reaches $30 is considered as “cheap” by most people. However, since earbuds aren’t exactly expensive in most cases, it’s safe to assume that models under thirty bucks are moderately cheap. You’ll notice that there are numerous differences between models under $30 and those that are under $15 (the latter form the majority). This section will help you gain the knowledge and insight needed to pick the best Bluetooth earbuds under thirty bucks. The “perfect” and “unparalleled” sound quality attributes are practically reserved for higher-end models. That means that you shouldn’t expect too much, but exceptions are possible. As each earbud set features a different driver which powers it, it’s pretty clear that you’ll encounter bassy, crispy, thumpy, and all kinds of sounds if you decide to pick a moderately priced set. However, certain models have at least a sort of balanced soundstage, so the negative aspects of their inferior quality would appear as diminished, at the very least. The latest up-to-date Bluetooth version is five point zero, but you won’t find a set of moderately priced earbuds with it, though exceptions might be possible in near future. Even though you should always look for the best features available, settling for acceptable Bluetooth quality won’t lead you away from picking a good set of buds. The version four-point-oh is pretty cool – it’s decently reliable and fast, and the same goes for 4,1. The version 4.2 is quite a rarity, but we managed to find several models that come supplied with it – check out the reviews for more information. Oddly enough, there are plenty of brands that compromise for the mediocre quality of their earbuds by offering complementary features. These are usually essential accessories, such as micro USB cable, a carry pouch, or such, but knowing that you could get this for free, why pass up the opportunity? If you really like an earbud model, you should ask yourself a question – is this the best I could do for the buck? If there are even insinuations that the answer might be negative, look a bit more. We’ve added several models and most of them come with gratis features. Earbuds are generally less comfortable than, let’s say, over ear headphones – the ear tips are in your ear, and there’s bound to be some sense of unease at times. That’s why brands are competing against each other by trying to make the most comfortable buds with the limited resources at their disposal – the story isn’t any different with moderately cheap headphones. We’re not talking about the comfortability in general as that’s an entirely subjective matter – rather, the comfort rating of moderately cheap earbuds is determined by the fit. Tailored fit usually means that the engineers who made the earbuds have already made all the necessary calculations, assuming that they know what’s best for you. That’s usually a good thing. On the other hand, certain earbuds feature a customizable fit. Since we’re already aware that comfort is a personal thing, being able to choose what suits you best is better than putting your trust into others to make the decision for you – that’s where customizable fit comes into play. With it, you’ll be able to adjust the features of your earbuds in the way you feel best. Durability is always important, but it wouldn’t be realistic to expect that earbuds under $30 are rock solid. That’s why moderate sturdiness is acceptable and frankly good. As you probably figured, most models within this price range are flimsy, so weeding out the faulty (or soon to be) ones from those which are moderately durable should be one of the priorities. Most budget and cheap earbuds are made of plastic materials with a silicone layer here and there. You shouldn’t settle for less, but it would be unwise to hope for more – check out our reviews of the best Bluetooth earbuds under 30 bucks and you’ll find that all of our picks feature a positive level of durability. Bluetooth earbuds with microphones are, basically, the same as all other earphones, but they allow you to utilize one of the greatest inventions of our time – talk hands-free. This section is comprised of the best Bluetooth earbud with mic models, so check out our comparison table, reviews, and the buying guide that follows shortly after. Packed with top-of-the-line technology, an IPX8 waterproof rating, ear-clips and a built-in microphone, the Voberry tops our list for the best bluetooth earbud with attached microphone. Let’s open up our review of the best Bluetooth earbuds with mic with Voberry’s model. Even though this is an underdog brand, there’s absolutely no reason to worry – these earbuds come outfitted with bleeding-edge technology, the latest waterproof features, and they don’t cost a fortune to top it all. First of all, let’s talk a bit about their Bluetooth 4.1 feature. This version is slightly better than the 4.0 (which most budget earbuds feature), but the difference is more than obvious. Namely, this improved connection boasts a stable transmission of signals, all the while being faster and more reliable. Furthermore, you can rest assured that the signal will remain clear and unobstructed up to thirty three feet away. Secondly, there’s the noise cancelling feature. You might’ve heard about ambient noise reduction, active, and passive noise cancelling, and this model features the latter, so what does it mean? That means that the background noises will be reduced (although not completely negated), allowing you to enjoy in your music without unnecessary annoyances. 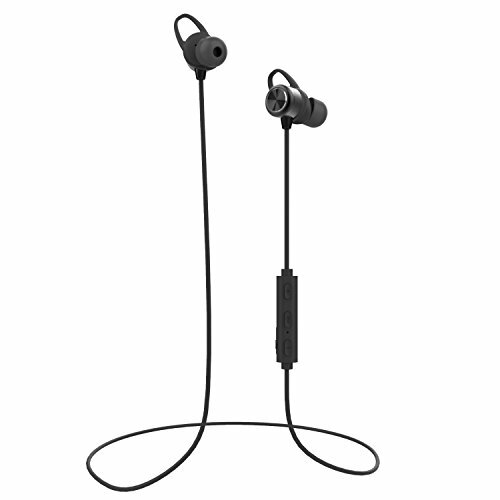 Thirdly, Voberry’s Bluetooth earbuds have the IPX8 waterproof rating and are comprised of nano-waterproof materials. That means that these earbuds are virtually impervious to drenching, submersion, splashes, and spills (note – the immersion needs to be lesser than a meter and shorter than thirty minutes). The last outstanding feature is the extra-long battery lifetime. Voburry ‘s Bluetooth earbuds can run up to nine hours of talking and 250 hours when on standby. Recharging them back to full power doesn’t take too long either. Even though there are plenty of things you could like about these earbuds, they’re not exactly perfect. Namely, there are a couple of flaws which you should be aware about. The main flaw of these earbuds is their flimsiness – the cable could get ripped quite easily, and the plastic parts can’t withstand too much abuse. That being said, we can say that they’re not as versatile as more expensive models in the sections above (e.g. for “sports”, “jogging”, etc), but they’re pretty lightweight which somewhat compromises for this. Overall, they hold a massive value for the buck and should be taken into consideration at the very least. Very similar to the Voberry @ #1, the Otium Sport has a slightly worse IPX rating of 7. Next up is Otium’s Sport Bluetooth headphone set. Much like Voberry’s Bluetooth earbuds, Otium’s model also features a set of waterproof features and a long battery lifespan, but there are several differences between the two which makes them easy (and necessary) to compare. After we took these two sets and placed them right next to each other, we figured that they look pretty much alike. However, Otium’s headphones appear to be a bit more comfortable – the surgical precision craftsmanship of Otium staff made the curves a bit more ergonomic, so it’s not that you’ll just feel better wearing them, you might not even notice them at all. Furthermore, these earbuds, as a matter of fact, are pretty versatile whereas Voberry’s set isn’t as much. They’re suitable for jogging, hiking, gym practice, and running as they feel light and boast a pretty sturdy construction. The waterproof rating of these earbuds, however, is inferior in comparison to our previous model (IPX7 as opposed to IPX8). Voberry’s earbuds can survive all sorts of watery ails while Otium’s earbuds can’t withstand immersion. That’s definitely not a deal breaker though, as they’re still water and splash-proof. As for the sound quality, you have nothing to fret about – the soundstage of these earbuds is well-balanced, and you’ll be able to benefit from rich, bright sound with a pronounced, accentuated bass response. The mids are a bit too thin, but lows are great and highs are pretty awesome. The battery lifetime of these earbuds is pretty great as well – they can last up to eight hours on full charge, and there’s a neat light indication when the juices are back on to full. Additionally, the recharge time is okay, but not exemplary per se. Lastly, there are several commands at your disposal – the skip song, play song, and pause are there for your convenience, simulating the actions you’d otherwise have to use on your phone. These earbuds can be used from a distance of 30 feet (Bluetooth function), but you shouldn’t venture outside the perimeter of 10 feet if there are any obstacles between you and your phone. 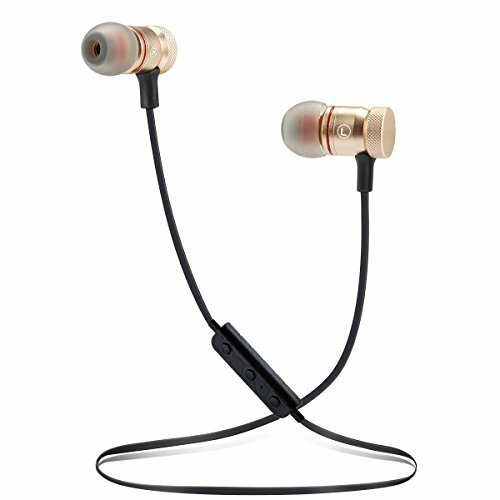 A little more expensive than the other earbuds in this category, the Forone makes up for it with unique magnetic technology for easy storage. The first in-ear earbud type in this section comes from Forone – these earbuds are quite valuable for the cash, even though they cost some $10 more than our previous two picks. Anyhow, let’s see why these earbuds are so special. First of all, Forone’s wireless earbuds boast high-fidelity, pristine clear audio quality. That’s quite a bold statement, so we decided to check it out. After several tests (with different music styles and genres), these earbuds performed flawlessly. Drum and bass aggressive songs were clear and every detail was present, mellow songs were audible and both resonance and sustain had suffered a minimal loss, so the end verdict regarding the audio quality of these earbuds remains a positive one. We can’t help but appoint the “guilt” to the premium-quality CSR8640 chipset, which is the greater contributor to the overall sound quality of Forone’s earbuds. Apart from that, the noise cancellation technology mitigated most of the ambient sounds, ensuring that the songs played out with the highest fidelity possible. The waterproof rating of Forone’s earbuds is IPX7 – they’re splashproof and waterproof to a certain extent, but you should refrain from submerging them, even accidentally. What’s more, the magnet-necklace design of these earbuds allows you to easily stow them and wear them around your neck, somewhat minimizing the chances of them falling down to the ground (in puddles of water, for instance). Furthermore, these earbuds feature a secure-fit. We’ve already mentioned that they’re very comfortable (due to their in-ear design), but there are three customizable sizes which will make sure everyone feels good wearing them. The built-in microphone is complemented with noise cancelling technology, allowing you take and receive clear calls at all times. The only real problem is that most people get the idea that the noise cancelling this earbud set provides is active, as in “you’ll only hear your music”. That’s not entirely true, as some sounds will still get past, but other than that, everything is nearly perfect, considering the price. That leads us to the lest benefits of these earbuds – they don’t cost too much, but they’re expensive by “budget earbud” standards, so they’re affordable, sure, but most models are less expensive. Filling in the mid-price of our list, the GRDE earbuds are a great alternative if the over-ear clips aren't what you are looking for with our first and second picks. Our last pick is a set of GRDE’s Bluetooth Magnetic earbuds. These in-ear earphones are very similar to our previous picks, but we’ve saved them for the last for a very special reason. Namely, these earphones are very practical, they’re designed in a beautiful fashion, don’t cost a fortune, and excel in numerous fields of performance. Now that we’re past the punchline, let’s delve deeper into details. First of all, GRDE’s magnetic earbuds come in two color variations. You can choose between the “black” and “red” color options, although the cable is black regardless of your choice. The reason why we’ve labelled them as “practical” is because of their magnetic design – there are small magnetic pieces on the end of each of the earbuds, which means that you can simply put them together and wrap them around your neck when you’re not using them. These earbuds also feature a quality built-in microphone which boasts noise cancelling properties – this feature substantially reduces the ambient noise and reduces any and all feedback, although you’ll still here a bit of this and that. Furthermore, the Bluetooth 4.1 technology is onboard as well. We’ve discussed the differences between the versions 4.1 and 4.0 before, so if you skipped it, all you need to know is this version is remarkably reliable and much faster than the previous one. What’s more, there are several button controls right beneath the left earbud (on the cord), allowing you to adjust the volume, as well as skip tracks in the most conventional way possible. Since these headphones allow you to connect to Bluetooth-friendly devices and Wi-Fi, you can call Siri or perform hands-free calls at your leisure. Lastly, this headphone set features a built-in Li-Ion battery which will yield up to seven hours of juice after charging it for mere 2 hours. You’ll see the battery status on your smartphone which will remind you when you need to recharge it back to full health. As for the cost, GRDE’s Magnetic Bluetooth headphone set isn’t too expensive, although they’re not too cheap either. They belong to the lower bracket of the moderate price point category, and they hold quite a value for the cash. Last and overall, GRDE’s magnetic Bluetooth in-ear headphones are great for all people who value quality sound and convenience atop all things. The battery’s neat, the design near prefect, and these earphones are quite versatile, so it might be worth your while to check them out – surely they’ve earned the title of “Best bluetooth/wireless earbud with mic”. Finding the Best bluetooth/wireless earbud with mic model shouldn’t be too hard. After all, these earphones are the same as any other, only they come supplied with an additional feature – a built-in microphone. However, since the market is filled with all kinds of brands and models, we feel as if it’s necessary to help you out regarding the things that need to be considered when picking out this type of earphones. It’s easy to point out that you’ll find no value of a flimsy set of earphones, but the build quality of your set is even more important when your earphones come with a microphone. If you’re asking “why is that so”, we’re more than happy to oblige. Namely, earphones are almost exclusively petite in size, so there’s only so little space for the microphone – this is usually a microscopic hardware piece which needs to sit right between other small-sized hardware pieces without interfering with each other. Since this is tricky task, some manufacturers leave out certain features so as to minimise the risk of microphone impeding upon the rest of the features and vice versa. That’s why you need to be extra careful when determining the build quality of your earphones. A flimsy set is not the one that will get broken with ease, but the one which comes with features less durable than average. The right earphone set with mic should be durable before all else – even if there’s some static, you could live with it, if the cord is too short, you could replace it. Don’t settle for less. Most laymen think that “there’s no such thing as this Bluetooth or that” – there’s only one. Even though this is true, in essence, wireless gadgets come outfitted with a Bluetooth of a certain version. The latter is incredibly important, especially if you’re looking for a set of earbuds with a mic which will heavily rely on it. Once you know which version is the latest, you’d know that all that came before are inferior. However, only a handful of models feature the latest Bluetooth version – the 5.0. Even though it was introduced in 2016, not all brands got a hold of this technology while other manufacturers simply don’t find it as cost-effective. Now, you’ll be able to forget all about Bluetooth v 1,2, and 3 as they’re widely considered as outdated. The real question is, what’s up with Bluetooth 4.0 and 4.1? Audiophiles and technology-savvy people have pondered on this issue and the conclusion is as follows – the Bluetooth 4.0 is pretty great, although 4.1 is incomparably better. In a nutshell, the 4.0 version will get you connected, but 4.1 will grant you a more secure, reliable connection plus the signal transmission will be many times faster. Thus, it’s easy to conclude that your earphone’s mic will work several times better if the Bluetooth version is up to date. Remember the era of corded telephones? Remember how we all used to forget ourselves at times and went a foot or two too far and the line snapped? Well, the same case occurs with a set of wireless earbuds if you step out of the effective Bluetooth range. One of the prime conveniences that the wireless mode of operation of earbuds offers is that you don’t have to keep your smartphone at hand at all times. Short Bluetooth range implies, however, that you do, and vice versa. Most wireless earphone models feature an effective range of approximately 30 feet while only some models don’t pay too much heed to obstructions. Usually, these physical obstacles (literally any item capable of reflecting the signal, chairs, walls, etc) cut the effective range short, sometimes by more than half. The quality of the microphone which is outfitted to your earphone set can be determined by several things. First of all, the drivers that the manufacturer used have a great impact on the quality of sound. Secondly, all of the subsidiary tech (e.g. noise cancelling, feedback reduction, etc) simply refine the quality that was already beget by the driver in question. Only all of these combined result in what you’re speaking through later on – all earphone microphones are small, and all of them allow you to speak hands-free, but only some models offer a reliable connection rid of all ambient noises and interferences. Take a look at our top picks to find out more about good quality microphones and earphones that they’re supplied to. We’ve been talking about the lowest bracket of the high-end category in the “best bluetooth headphones under $100” section, but now it’s time to showcase our selection of the best quality earbuds you could get if money isn’t an issue for you. Basically, these earbud models are several times better than anything we’ve reviewed so far, so feel free to set your expectations high. Without further ado, let’s get straight to reviews. Ambient noise-cancelling technology, high quality components, and superior sound from a known brand. The Sennheiser tops our list for the best wireless bluetooth earbuds. The first earbud model in this section comes from Sennheiser. If you’re a true earphone tech enthusiast, you must have already heard about this brand – it’s a German company founded in the year of 1945, and they’ve graced the market with millions of premium-quality headphones and microphones. The “Momentum” series is comprised of several top-shelf earphone models, and we’ve picked the erabud type for this review as the others are of different type. In essence, this is the most affordable high-end option we’re recommending to you, even though it comes outfitted with some serious hardware and technologies. First of all, these earbuds feature tangle-free cable which is outfitted with three control buttons and the integrated microphone. The soundstage is superb, and there’s a set of dynamic transducers that produce excellent sound and shrug off most of the distortion. The ambient noise cancelling technology is pretty basic – it relies on analogue positioning of the foams and silicone across the buds. Even though this won’t get rid off of all the noise, a comfort fit is achieved with this form of design. Furthermore, these earbuds are incredibly lightweight, which makes them great for usage for hours – in fact, you won’t even notice them. The only thing people seem to dislike about these wireless earbuds is the cord. Actually, the cord of Sennheiser’s Momentum in-ear earbuds is “okay”, but that’s not what you should get for the buck. It’s decently durable, but most top-shelf models provide a better one. Additionally, the replacement silicone earbuds are rather hard to come by – Sennheiser doesn’t feature uniform shipping prices, so in some cases you’ll need to pay quite a lot to get them, so this is definitely a downfall. Overall, Sennheiser’s Momentum in-ear earbuds are well worth the buck. They provide excellent sound and come outfitted with a set of great features, and even though they have some minor issues, the benefits are more than capable of outshining them. Bose's offering in this category comes in a multitude of color options and is made from the same high-quality components that you have come to expect from Bose. Bose is one of the leading brands in the earphone (and earbud) manufacturing industry, and it’s safe to say that their SoundSport is one of the finest earbud models for athletes and people who’re living on the edge. Let’s see more details about these earbuds. First of all, Bose’ SoundSport excels in aesthetics like no other earbud set. If you’re paying top dollar, it’s only normal that you deserve the best looking buds out there, and SoundSport is exactly what we’re talking about. These earbuds come in numerous bright color variations, although most people prefer the all-black style. They’re somewhat larger than most earbuds due to their peculiar design, maybe even a bit bulky, but that’s not too much of a downfall. Secondly, the comfort rating of Bose’ Sound Sport is through the roof. These earbuds are exceptionally comfortable, and they won’t enter your ear canal fully – this means that you won’t experience the pain like you would if you used similar in-ear earbuds. They’re pretty easy to use, the volume control, as well as call and music control buttons are onboard, but the feedback reduction (static and similar interferences) are subpar to most high-end models. The things we really liked about SoundSport is that they feature premium build quality and exceptional stability, and to top it all, the sound emissions are remarkable, to say the least. If you want something with a noise-cancelling bias, the QuietControl 30 is a great choice from Bose. 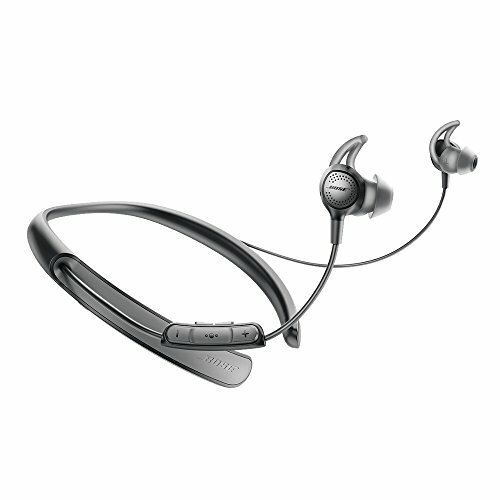 If you liked Bose’ SoundSport, you’re going to be thrilled to use their QuietControl 30. Generally, these two earbud models are nothing alike, even though they come from the same brand. Of course, both of these models are of exceptional quality, but there are certain differences that come into play which set them apart in a substantial way. Firstly, the QuietControl features superior technologies – the ambient noise reduction tech of Quiet Control 30 is unparalleled, and the same goes for the Bluetooth reliability. The effective Bluetooth range is approximately 32 feet (10 meters). Secondly, Bose’ staff really did a good work when they optimized the soundstage of these earbuds – the calls are pristine clear, and you’ll benefit from nothing short of perfect sound quality. Suffice to say, that’s the least you should expect knowing that QuietControl 30 doesn’t come cheap per se. They feature a lightweight neckband which will easily conform to the body of the wearer, ensuring superior comfort and wearability without exceptions. Lastly, we really liked how the Li-Ion batteries of QuietControl 30 survived full 10 hours of listening. After their juices ran off, we had to wait only three hours for them to completely get back to full. We didn’t come across any flaws that are worth mentioning, aside from the non-wireless (wired) design. All things considered, Bose’ Quiet Control 30 is definitely one of our favourite high-end Bluetooth earbud models, and we warmly recommend it to anyone who’s not afraid of paying top dollar for quality. 8 hour of battery life, bluetooth 4.1, and tripe high-def drivers make Shure's earbuds a great choice if you don't want the high price tag of Bose or Sennheiser. Next up are Shure’s SE535 Wireless earphones. They look exquisite and amazing, to say the very least, but it’s not the aesthetics that made them so popular. Shure is one of the world-class leaders in the microphone industry, but they’re also making top-shelf earphones and earbuds – you can only imagine the quality of microphones they integrate within the latter. First of all, these earbuds come in four color variations, but it’s safe to say that each one looks more amazing than the next. These buds are outfitted with Triple high-def drivers that provide immersive, rich sound and deep, yet perfectly clear bass with exceptional response. The sound isolating tech onboard keeps unwanted noises where they should belong, although not all sounds will be negated – some 10-15% will manage to infiltrate your fun, but that’s not too much of a downfall considering that they would be barely noticeable. Shure’s Noise isolating earbuds are outfitted with Bluetooth version four point one – even though this is not the latest up-to-date Bluetooth version, it’s very fast and exceptionally reliable. What’s more, the connectivity concerns most modern smart devices, like latpops, tablets, phones, and such. The battery lifespan of SE-535 is pretty nice – you’ll be able to enjoy up to eight full hours of music listening (the Bluetooth reaches up to 30 feet), and the recharge time is pretty low as well. On top of that, the inline microphone and remote features offer you seamless control over phone calls and voice commands, making these earbuds extremely convenient and easy to use. The last high-value high-end Bluetooth earbud model in our review comes from Sony. Surely you’ve heard about them – the brand that practically dominates numerous tech and electronic markets. Anyhow, Sony’s XBA-Z5 headphones represent the latest letters in technology – they boast impeccable sound quality, pristine clear calls, natural Hi-Resolution sound, and other premium-quality features. Of course, they cost quite a bit, but we’re here to assure you that they’re well worth the buck. Firstly, let’s talk about their design – Sony’s XBA-Z5 features an over-ear design which feels incredibly comfy once worn. The soundstage is well-balanced – it’s comprised of deep, accentuated bass, pronounced mids, and bright highs, all powered by the Hybrid 3-way drivers. What’s more, the dynamic driver is outfitted with ALCP which further enhances the bass quality. What’s really amazing about these earbuds is that they come outfitted with a hybrid dual-layer cord – it’s robust, lightweight, and quite long. Now, even though these earbuds aren’t wireless, they’re surely worth the buck. There are but a few things you should look out for when you’re searching for the best quality Bluetooth headphones. Of course, the first thing you should know is that each model within this price point category costs a small fortune, and there are no exceptions. Regardless, since you’re searching for the best value earbud model, you already knew this. Now, what’s really important is the hardware layout – what features are outfitted to the model you like? What technologies were used to make them better? Each earbud model is powered by a set of drivers, and there are plenty of differences between the drivers of a medium-priced model and a high-end one. For example, Sony’s XBA-Z5 earbuds come with several drivers, one of them being the so-called Aluminium Coated Liquid Crystal Polymer – it provides the sound of such quality that we can’t even compare it to low-cost models. Furthermore, you should look into the level of durability your earbuds offer. High-end models are almost always incredibly robust – they’re made of premium-quality handpicked materials which are later refined and layered (or coated) with additional reinforcements for additional durability. Be it as it may, certain models aren’t, so they should be overlooked and skipped. Lastly, let’s talk a bit about the price. This is, by far, the most expensive price point category, so it’s only obvious that your expectations should be quite high. However, there are lots of differences between a $100 and a $400 model. The first thing you’ll notice is the difference in sound – some of the most expensive models offer unparalleled, incomparable sound quality which you’ll come to understand once you try them out. Additionally, there are certain models within this price range that look rather plain (take Bose’s Quiet Control for example) – don’t judge a book by its cover, as that might lead you to the wrong conclusion. Finding and picking the best wireless earbuds for the buck can be very, very hard, given that new brands are emerging onstage with each passing minute. We, however, hope that we’ve helped you narrow down your search a bit with our reviews and buying guides- if you didn’t have the chance, make sure to check out the sections above. Good luck!